Level 4 Certificate in Physical Activity and Lifestyle Strategies for the Management of Low Back Pain. The Level 4 Certificate in Physical Activity and Lifestyle Strategies for the Management of Low Back Pain is available to learners who have already achieved a Level 3 Certificate in Personal Training and also hold the Freedom PT Training Diploma in Exercise Referral (or suitable equivalents). Approximately 80 percent of adults will suffer back pain at some point in their lives. As well as increasing your credibility and earning potential as a Level 4 Personal Trainer, this course will give you the ability to integrate a number of physical therapy related assessments and exercises within a gym environment to benefit new and existing clients alike. This qualification is accredited by Active IQ and is recognised by both the Register of Exercise Professionals (REPs) and CIMSPA at Level 4 – currently the highest level of industry recognition. 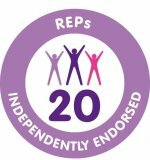 You will need a Certificate in Personal Training or another suitable Level 3 qualification and must also hold the Freedom PT Training Diploma in Exercise Referral or an equivalent qualification for entry onto this course.